Alejandro Paul, aka Ale, is an Argentinean typographer, type designer and teacher who currently lives and works in Argentina Buenos Aires. 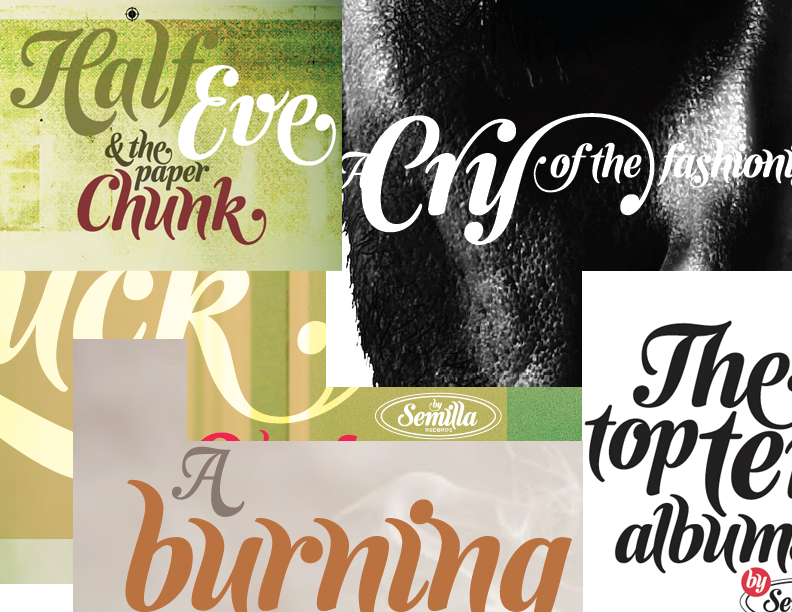 His obsession for packaging and hand lettering have instigated the design of over 50 script typefaces at Sudtipos. Most Graphic Design education students are taught to avoid using decorative and script typefaces. This is simply because of the overly used and cliché types that the operating systems (MAC OSX and Windows) can offer. However, when a “good” script type, like many of Alejandro’s typefaces, are used appropriately and intelligently the result can be very successful and original. For instance take a look at the catalogue he designed to promote Semilla “The Top Ten Albums by Semilla Records“. There, he collaborated with a photographer and found a wonderful ground to promote his typeface with images.